Redbooth gives your teams the tools they need to collaborate online. Get started today and watch productivity skyrocket. Team collaboration online has never been this fast and easy. Whether your offices are spread out over multiple locations, or you’re managing one department within a single organization, Redbooth’s collaboration platform keeps all of your work in one place. Now your team can always work together — no matter where they are located. When team collaboration online is taking place in email or even across multiple task management apps, focus and overall productivity are reduced. With Redbooth, all of your work happens in the same place. Built-in project management, task management, enterprise chat, HD video conferencing, screen sharing, and now one-click voice calling mean that your team doesn’t just have more ways to collaborate — they have the best ways to reach each other based on the task they’re currently working on. Time is precious — especially for your key team members. It’s hard to get everyone in the same place at the same time. Now you don’t have to. 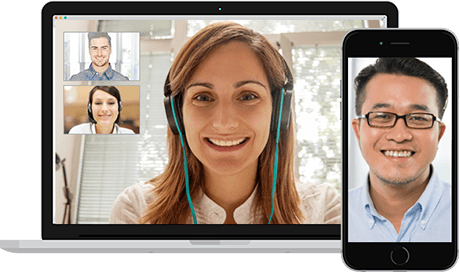 One-click voice calling, HD video conferencing, and enterprise chat allow you to connect with individuals one-on-one or within a group, no matter where they are located. A collaboration platform should make your life simpler, not more complicated. Redbooth’s popular integrations make team collaboration online a seamless experience, combining the best collaboration tools with the apps you already know and love. 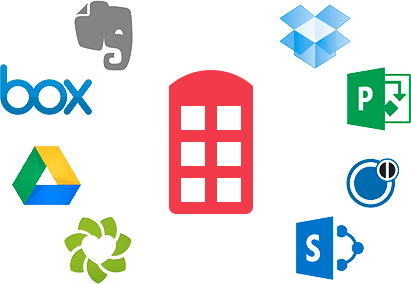 Redbooth integrates with SharePoint Online, Box, Evernote, Dropbox, Google Drive, Outlook, Zendesk, and more. With Redbooth’s beautiful, advanced workflow reporting, you can track team progress from an individual, group, and project level. Empower your team leaders and project managers to make more accurate planning estimates and ensure that nothing falls through the cracks. With Redbooth, you get instant access to the best team collaboration online. Start for free today and see why thousands of companies think Redbooth offers the best collaboration tools.